Already in July 2014, Jean-Claud Junker, at the time still a candidate for the presidency of the European Commission, had a clear idea about the importance of a Connected Single Digital Market. Many benefits are expected from its creation, but it is first necessary to establish common rules among all the EU Countries. In order to shape a Connected Single Digital Market, consultations with stakeholders where implemented and one of the most relevant topic was fake news. With the purpose of finding a way to manage them, their authors and the platforms sharing these contents, the Commission settled up a call for the selection of members of the High Level Group on Fake News. 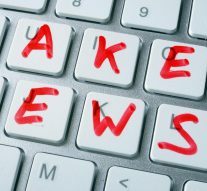 In the European Commission’s paper Summary report of the public consultation on fake news and online disinformation, it is stated that: «the public consultation received a total of 2986 replies: 2784 from individuals and 202 from legal organizations»; in the press release of the 12th of March 2018, the Commission affirmed that «surveys emphasize the role of quality media», moreover, «elections and migration policies were the top two categories where most respondents thought fake news were likely to cause harm to society». Is it a fake new that fake news affect elections and migration policies, or is it just a wrong impression? To answer this question we should make a data collection, having regards to newspapers articles, radio and TV shows, tweets and facebook posts. To score our goal we could try to find some examples that could help us to clarify our mind on this matter. In a very interesting article of the online review Infomigrants.net, it is stated that «a study by Italian sociologist Massimo Introvigne has brought to light the extent to which Italians have a distorted perception of migration. The expert says that this trend is fostered by fake news and the “demonization” of little-known religious groups», in particular «the study was conducted on a representative sample in the Italian region, Piemonte. Results showed that over half of those interviewed thought that immigrants account for over 20 percent of residents, exactly double the actual figure of 10 percent, Introvigne said. “Even more interesting is that over 80 percent of interviewees think that most immigrants are Muslims, while in reality 32 percent of immigrants are Muslims and 54 percent are Christians”». Another useful and interesting article, published by France24, explains that they «identified 163 cases of fake news (including tweets, facebook posts, statements made by politicians and articles filled with false information) on 81 different topics relating to migrants». They divided the subjects into nine categories: «The most common were about criminal acts supposedly committed by migrants (30%), social benefits claimed by migrants (20%) and the idea of a migrant invasion (19%)». They show, as an example, a video shared in France, Spain and Turkey. «This video, posted on February 23, 2017, shows a man hitting several nurses in a hospital in Russia, in the town of Novgorod. It was manipulated and shared by users in at least three other countries». Indeed «several French facebook pages associated with the far–right claimed this video showed a migrant assaulting nurses in a hospital in France». Furthermore «In Turkey, a secular page claimed that this video showed a Syrian man attacking a female doctor in a hospital (and implied that the incident took place in Turkey)». Last but not least «social media users in Spain, however, claimed that it was a Muslim person attacking a nurse in a Spanish health center». All of these, but you can find much more of them just surfing on the web, are very good examples on how a fact can be easily manipulated and how it is easy to completely distort the reality perception of people, influencing what they think about a particular issue. We can affirm that fake news are a serious problem, especially because they could seriously influence people’s ideas and behaviours, not only in the voting booth. The challenge of the EU now is to curb the fake news’ phenomenon, without undermining the freedom of speech.